Today more than ever, consumers have choices when it comes to what commission rate they will pay when listing their home for sale. From flat fees to full service fees, and many options in between, it seems that consumers are spoiled for choice. But if you’re considering listing your home for sale, you simply must make sure that you clearly understand exactly what each level of service provides. What are you getting for the fee you’re paying? What level of service can you expect to receive? How much of the process will you be expected to perform? Will your agent take care of all the details for you? It’s imperative that you get in writing the services the agent will be providing for the fee they are charging. This will help eliminate disappointment and clarify expectations. Ask them if their first priority is to ensure the protection of your equity – your home. What is their marketing strategy for selling your home for the highest sale price possible? How will they be attracting all potential buyers in the market place from various spheres of influence? What type of market will you be selling in – a Buyer’s market or a Seller’s market? How long a listing period is needed to sell your property for the highest price? How many buyers does the agent estimate will be in the market place to buy your home over the anticipated listing period? Is selling privately a good option? If I sell privately, who will guide me through the process? The most important question that all sellers want to know when considering a sale is how much is my home worth? But there are so many other questions that need to be answered regarding the services your agent is providing for the fee that they charge. 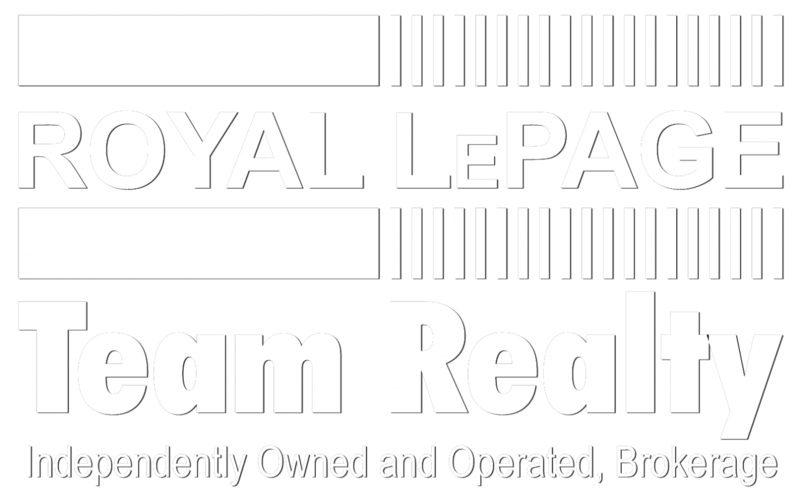 Call or email one of our Royal LePage Team Realty Professionals for an in-depth explanation of the value you’ll receive for their services. Our sales representatives will discuss with you the current market conditions in your area, as well as how they’ll position your home as the #1 property in the market place. Our trained and knowledgeable agents are ready to answer all of your questions.